The Pained Ink Slayer: Fibromyalgia, Dismissed, Misdiagnosed and Poorly Understood. Fibromyalgia, Dismissed, Misdiagnosed and Poorly Understood. The short answer is fibromyalgia is frequently dismissed because of inadequate information, education and awareness among those who primarily treat us, despite the plethora of information available. How do we get this material into the hands of the right people? You, the patient is often better read regarding your condition because you have a vested interest, your own health. Fibromyalgia can be misdiagnosed when a thorough history and physical are not completed. The preliminary proposed diagnostic criteria (PDC) for fibromyalgia disregard what clinicians have become comfortable with, the tender point count. While I agree that tender points may really be trigger points, and contribute to the centralization of pain causing widespread allodynia, I fear this new criteria will give permission to leave out one of the most valuable tools for diagnosis, “The physical exam.” If this criteria is allowed to stand with the American College of Rheumatology, it will only cause further misdiagnosis of FM and lead us down another decade of inappropriate treatment. The proposed criteria only consider a check list of widespread pain, and symptoms of various comorbid conditions (all jumbled up together as primary to FM. These symptoms may be attributed to an overlapping condition frequently found in fibromyalgia patients creating a missed diagnosis. Do regular self examinations and use the anatomical diagram and the many other helpful tools found in our book so that your physician or other healthcare provider (HCP) can visually relate to your experiences. If you find taut bands of muscle, or myofascial trigger points (there can be several in one band of muscles), mark it, then have your HCP feel it too. If you are experiencing unusual symptoms, note them on your log from your last visit and discuss them with your doctor, and ask if they might be attributed to one of the comorbid or overlapping conditions found in fibromyalgia. Approach the subject with documented studies or information related to symptoms such as those found in our book. Lead in with a statement such as, “You probably already know this, but I wanted to share it with you.” (Refer to the multiple resources for this blog located at the end, which are just a tip of the iceberg.) Remember, doctors and HCPs don’t take every medical journal. If they are the right doctor for you, they will be appreciative. You can print off this blog and take it with you. Research continues to point fibromyalgia in the direction of a neurological disorder with centralization of pain, which is exacerbated by peripheral pain stimulus. Myofascial pain syndrome, AKA chronic myofascial pain, from knotted up pieces of muscle fiber (trigger points) has been found in most fibromyalgia patients and is a peripheral pain stimulus. 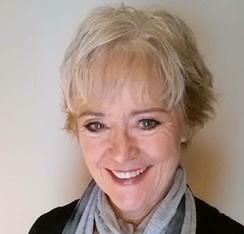 (See http://www.sharecare.com/user/celeste-cooper/blogs/show/how-is-fibromyalgia-related-to-myofascial-pain-syndrome ) In addition, comorbid conditions, such as, TMJ, restless leg syndrome, migraine, interstitial cystitis, all have this myofascial component so in essence FMers deal with a wheel spinning out of control, sending off pain impulses that keep us ramped up and ready for disaster. Only better diagnostic criteria and education is going to solve this problem. Bennett RM, Goldenberg DL. 2011. Fibromyalgia, myofascial pain, tender points and trigger points: splitting or lumping? Bennett and Goldenberg Arthritis Research & Therapy. 13:117. Alonso-Blanco C, Fernández-de-las-Peñas C, Morales-Cabezas M, Zarco-Moreno P, Ge HY, Florez-García M. Multiple active myofascial trigger points reproduce the overall spontaneous pain pattern in women with fibromyalgia and are related to widespread mechanical hypersensitivity. Clin J Pain. 2011 Jun;27(5):405-13. Brezinschek HP. Mechanisms of muscle pain : significance of trigger points and tender points. Z Rheumatol. 2008 Dec;67(8):653-4, 656-7. HY Ge , Wang Y, Fernández-de-Las-Peñas C, Graven-Nielsen T, Danneskiold-Samsøe B, Arendt-Nielsen L. Reproduction of overall spontaneous pain pattern by manual stimulation of active myofascial trigger points in fibromyalgia patients. Arthritis Res Ther. 2011 Mar 22;13(2):R48. Fibromyalgia Network News/Overlaps with Fibromyalgia (accessed 11-28-2011). Hubbard, JE. Myofascial trigger points. What physicians should know about these neurological imitators. Minn Med. 2010 May;93(5):42-5. Jones KD, King LA, Mist SD, Bennett RM, Horak FB. Postural control deficits in people with fibromyalgia: a pilot study. Arthritis Res Ther. 2011 Aug 2;13(4):R127. Kindler LL, Bennett RM, Jones KD. Central sensitivity syndromes: mounting pathophysiologic evidence to link fibromyalgia with other common chronic pain disorders. Pain Manag Nurs. 2011 Mar;12(1):15-24. Epub 2009 Dec 2. Light AR, Bateman L, Jo D, Hughen RW, Vanhaitsma TA, White AT, Light KC. Mira E, Martanez MP, Sanchez AI et al. 2011. When is pain related to emotional distress and daily functioning in fibromyalgia syndrome? The mediating roles of self-efficacy and sleep quality. Br J Health Psychol. 16(4):799-814. 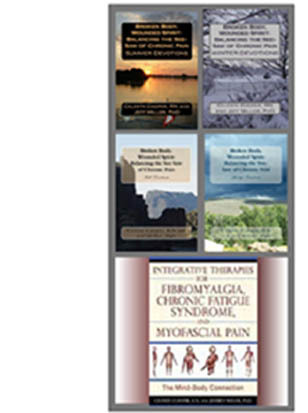 National Institute of Health, NIAMS/fibromyalgia (accessed 11-28-2011). Nickel JC, Tripp DA, Pontari M, Moldwin R, Mayer R, Carr LK, Doggweiler R, Yang CC, Mishra N, Nordling J.J Urol. Interstitial cystitis/painful bladder syndrome and associated medical conditions with an emphasis on irritable bowel syndrome, fibromyalgia and chronic fatigue syndrome. 2010 Oct;184(4):1358-63. Epub 2010 Aug 17. Staud R. Heart rate variability as a biomarker of fibromyalgia syndrome. Fut Rheumatol. 2008 Oct 1;3(5):475-483.
iola-Saltzman M, et al "High prevalence of restless legs syndrome among patients with fibromyalgia: A controlled cross-sectional study" Journal of Clinical Sleep Medicine ,2010; 6: 423-427. Wolfe F, Clauw DJ, Fitzcharles MA, Goldenberg DL, Häuser W, Katz RS, Mease P, Russell AS, Russell IJ, Winfield JB. Fibromyalgia Criteria and Severity Scales for Clinical and Epidemiological Studies: A Modification of the ACR Preliminary Diagnostic Criteria for Fibromyalgia. Rheumatol. 2011 Feb 1.